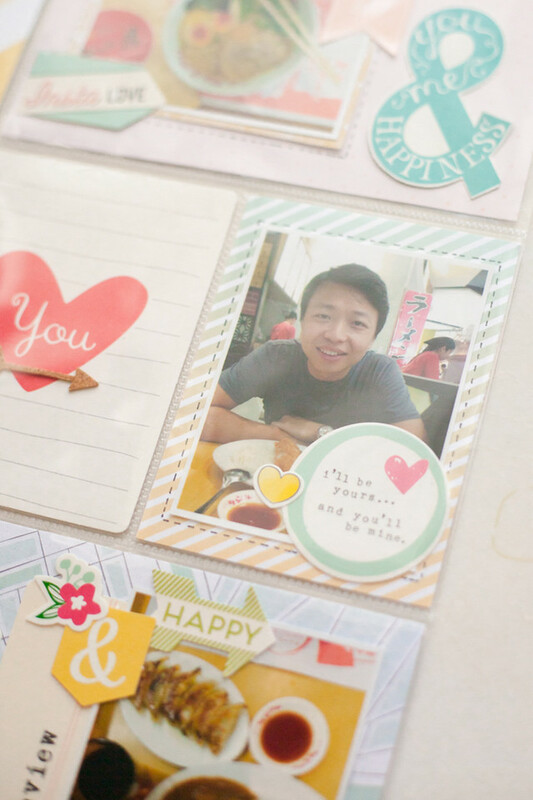 I use 2R photos not square just like the sketch and put some embellishments in bottom of the photos and also put some journal stickers. In the bottom of the layout I did some layering to the stripes using black banner washi tape, paper and pink plastic ruler which you can find it in the main kit. 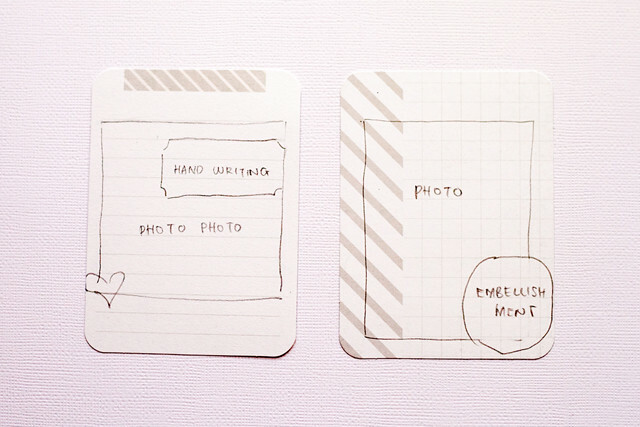 To play along with our sketch challenge, upload your layouts to the gallery by April. 5th to get your name in a drawing to win a $5 GC to the store. When uploading to the gallery you can name it as you would normally but please include "Sketch 3/30". 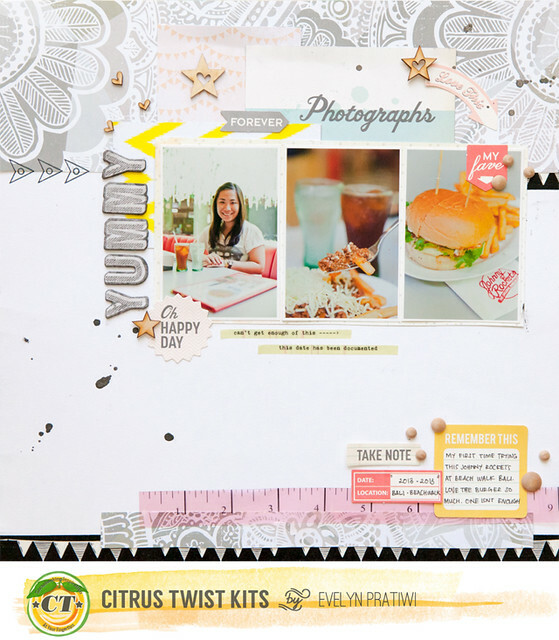 Hi everyone, today I'm sharing a couple of layouts with you, created with the Fireflies main kit and Happy Little Moments embellishment kit. 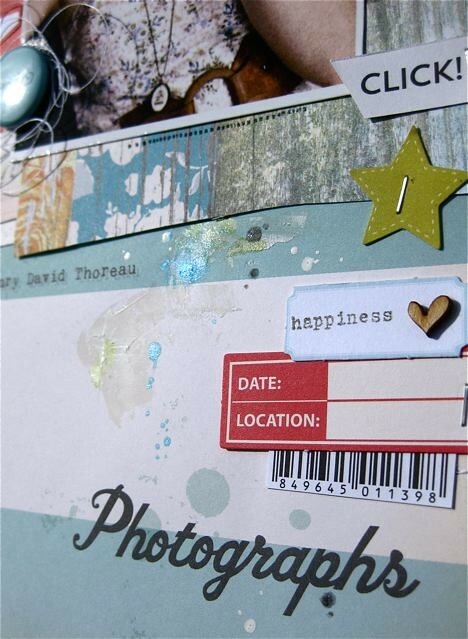 On this first page I've used the Snapshots 'Click' paper as my background, which was perfect for the camera theme of my photo.. 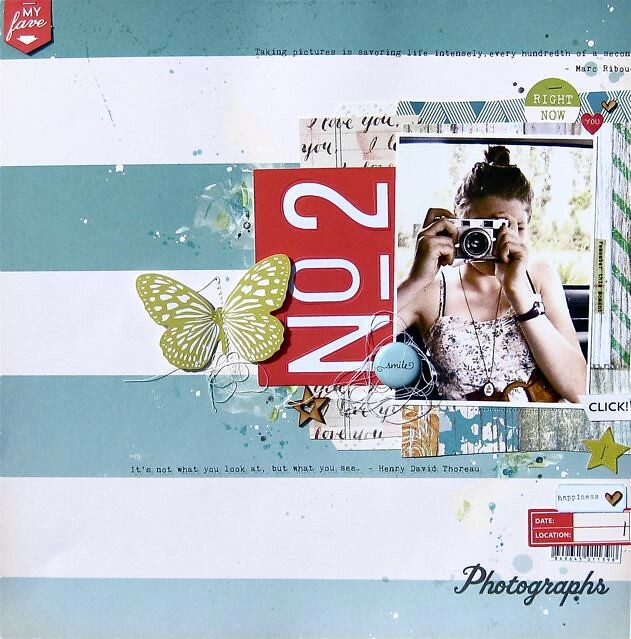 I've layered around the photo using papers, Daily Flash die-cuts, exclusive CTK veneer and flair with some machine stitching and messy thread for extra texture.. 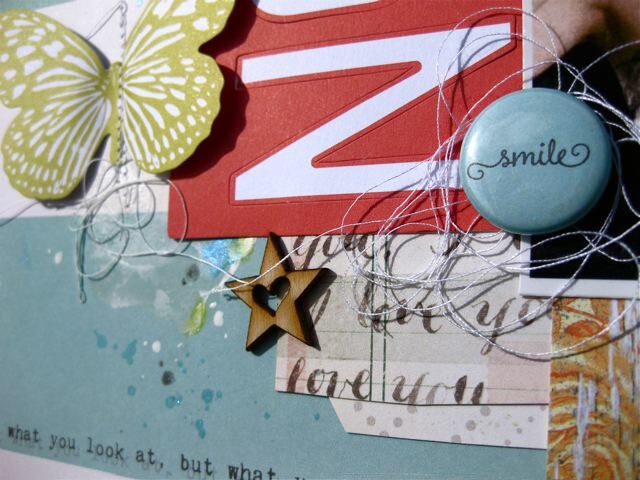 I've stamped one of the die-cuts with a stamp from the stamp add-on..love how the font matches that on patterned paper.. Here is my second page.. I've used the die-cuts once again and to add layers and help the design to flow across the page.. also picking up the colour and pattern from Rhi's dress in the Studio Calico Lemon Lush paper and by misting the numbers for the title..
a bit of random stamping with the main kit stamps and scattering of cork stars complete the layout..
Have you been creating with the March kit? We'd love to see, so please share your work on our facebook page! There always be the 1st time in our live to start something and yes this is my 1st post about Project Life here in CTK blog as their Designer Team. 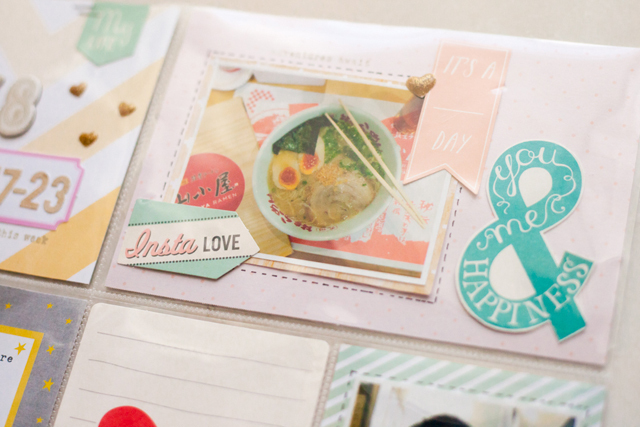 Today I wanna share how I created Project Life only in one page not one spread. Why I did this? 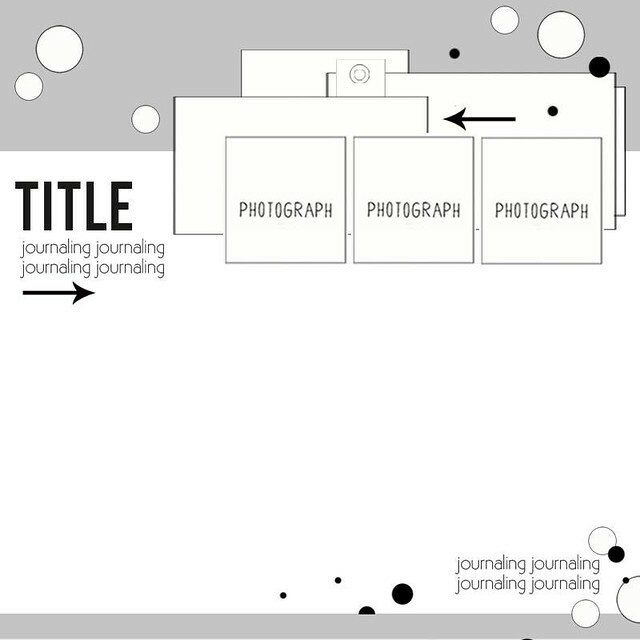 Because I’m pregnant and can’t sit for a long time but still wanna play with paper and documented my daily life through project life. 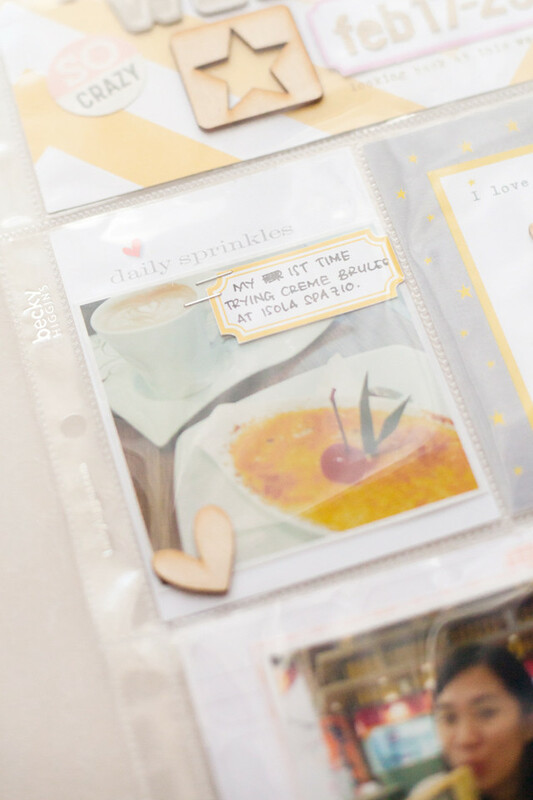 I think do only one page project life is one of the best way to catch up your daily life in real life and still productive to catch up your project life. Am I right? 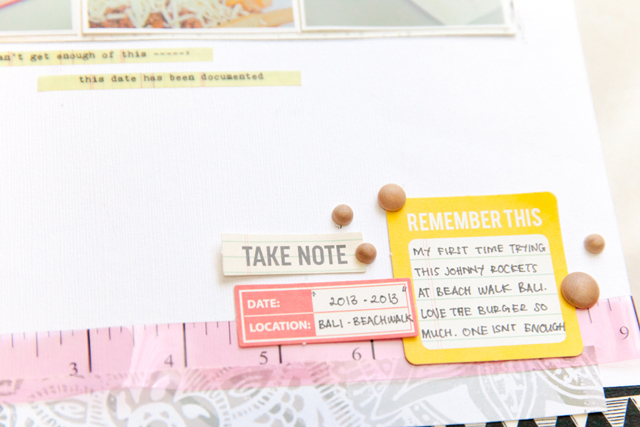 No need to create only one page, If you feels you have much time than go head to continue to create one spread. 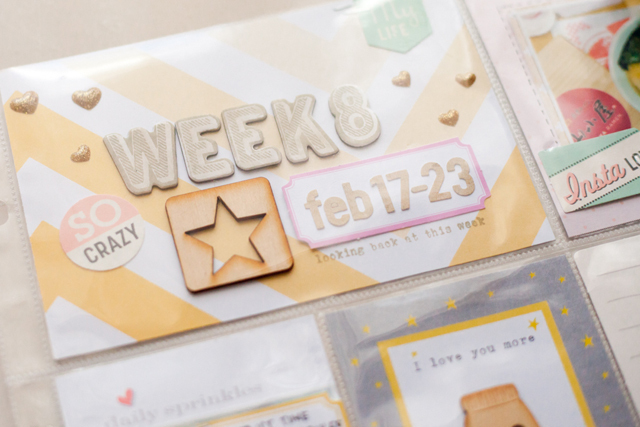 This is my Week 8, I use March 2014 Just Cruisin PL Kit, Nothing But Happy PL Embellishment Kit and I mix it with Happy Little Moments Embellishment Kit. I created my own weekly card, I trim 6x6 paper pad by Dear Lizzy. Not only weekly card but also another 3 cards, two in the top of my page and two in the bottom. 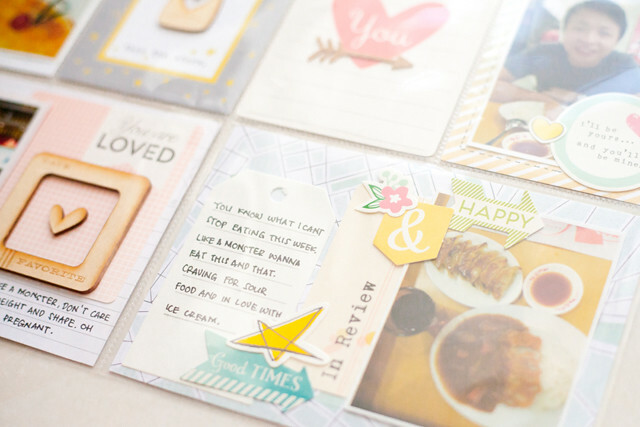 The rest of it I use Project Life card special design by CTK. This week its all about me and food. 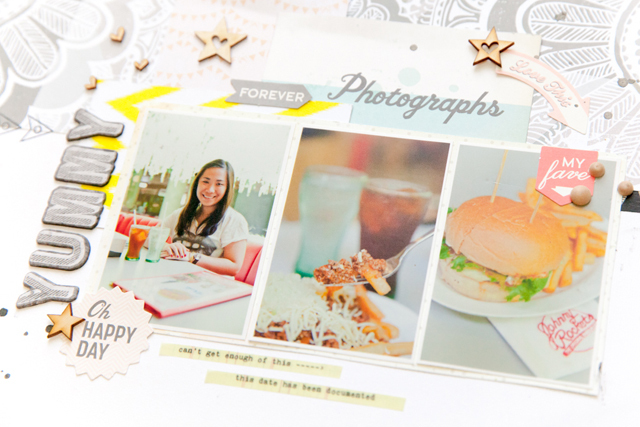 So I choose some of food photos and use it in this page. I’m not worry to use only 5 photos to describe my week. 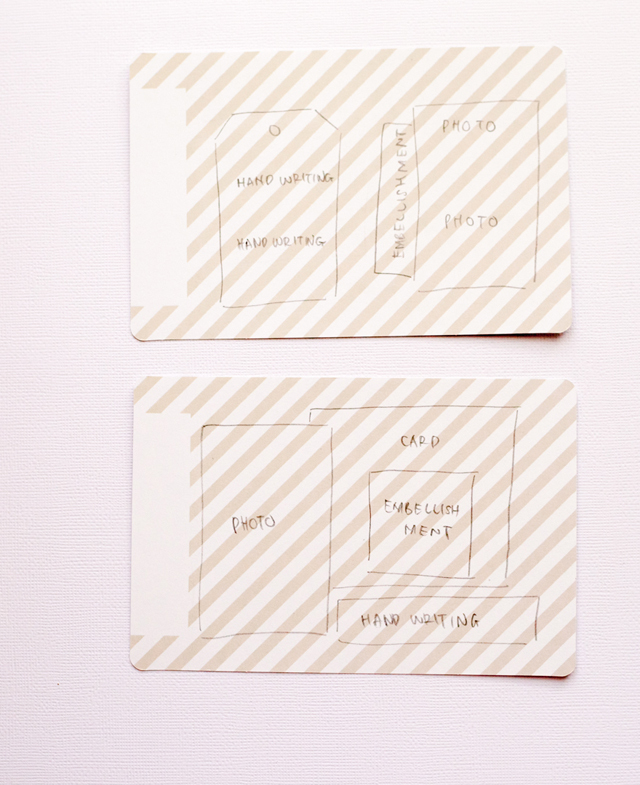 Sometimes project life isn’t all about you have to fill every single pockets with photo. If you have to choose why not? You will find similar photos and choose which one I the best to describe your week and do some description about it. You can show off your hand writing or you can type it via computer or using your cuty typewriter. Its all up to you, don’t stress and just having fun! If we are talking about color theme, I choose yellow, soft pink and blue for my PL. 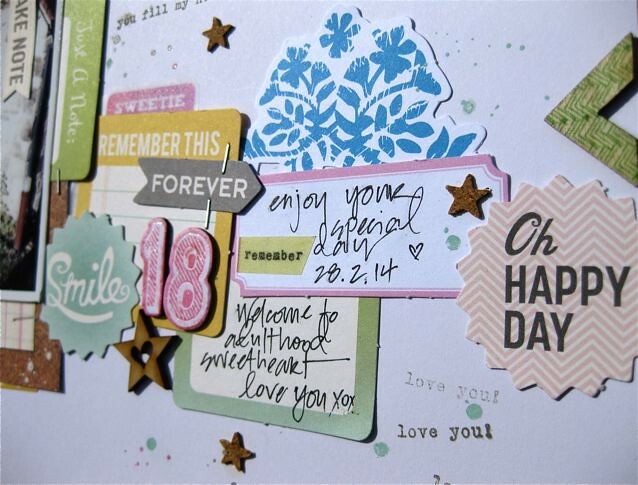 I use my colors theme to choose the perfect card and embellishments to decorate my cards. I’m not really care about the photos, I believe that the photos will be match with any colors theme so I just confident to choose the one that I like. So enjoy your time to create your project life, make it fun and easier for you! 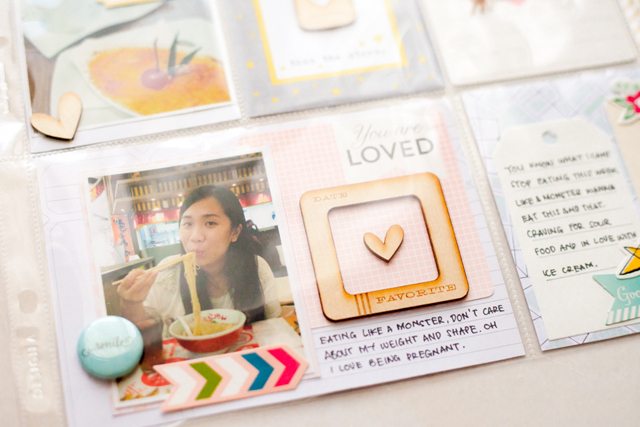 Don’t forget about the reason why we do the project life. 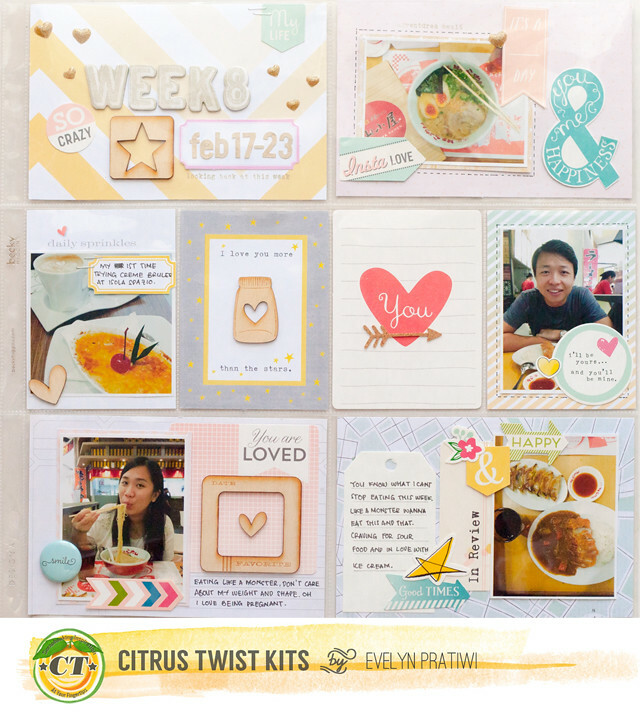 March 2014 Kit Reveal at Citrus Twist Kits! Tuesday tutorial with Amélie - Guessing game #4! march kits - guessing game #1!